What are good prefabricated steel structures and where do you find them? Prefabricated steel structure, taking advantage of the prefabricated workshop, improves the speed of construction and render steel structure workshop building much faster than any concrete ever could. In addition, this also creates a lot less cost and less money being spent. The cost is easy to count at the very beginning of the process and only very slight changes to the price will be made. So, basically what prefabricated steel structure manufacturers do is build your construction much faster for a lot less money. 1. It gets built faster than any other kind of building and material would. This is one of the most important points for most people. No one likes waiting and this is one of the hardest waits in the world because if, for example, your steel structure is a prefabricated warehouse, then that means that you need it for your business or for rental purposes. In either case, you can't wait to see it get finished. This is why prefabricated steel buildings are so good – they can be done sooner than any other kind of building. 2. It costs much less. This is also a rare benefit since the cost is important to everyone. Since the building is prefabricated, it means that it will cost less, especially since it's made of steel. 3. It's durable, reliable and eco-friendly. 1. Online. This is the most obvious choice since all of the information on all of the steel manufacturers are there. You'll be able to easily contact them and get all of the info that you need. You could search for prefabricated steel structure companies in your area or those that are further away from you. This will give you a clear advantage of choice. 2. In paper media. This will give you less advantage of choice but it will provide you with great opportunities of finding just the fabricators that are in your vicinity. You could visit them, talk to them in person, see what your choices are and what you can get for your budget. 3. If you live further away from the city, where most steel structure fabricators are situated, you could go into the city and visit all of your desired fabricators. Most of them will allow you to see their production process and their machines, some examples of what they did in the past or what they plan on doing in the future. 4. 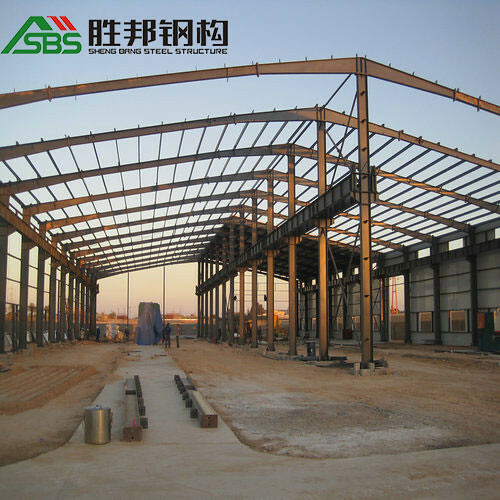 Contact Foshan Sheng Bang Steel Structures, a prefabricated warehouse supplier. They deliver to most parts of the world and they have the highest quality of product, of every kind, both prefabricated and built on site and they will make sure that what you get is of the best and most durable material. They also produce highly eco-friendly product.